One of the things we love about fall are the turning of the leaves, the briskness of the weather, and on a personal note, that all the geese begin to migrate south. But Mother Nature isn't the only one changing things up, as some of you may know already. Prosperity Consulting has taken on a new Project Manager. Check out our Midweek Motivation and watch our video to get the full details! A big thank you to Kellie Walsh! 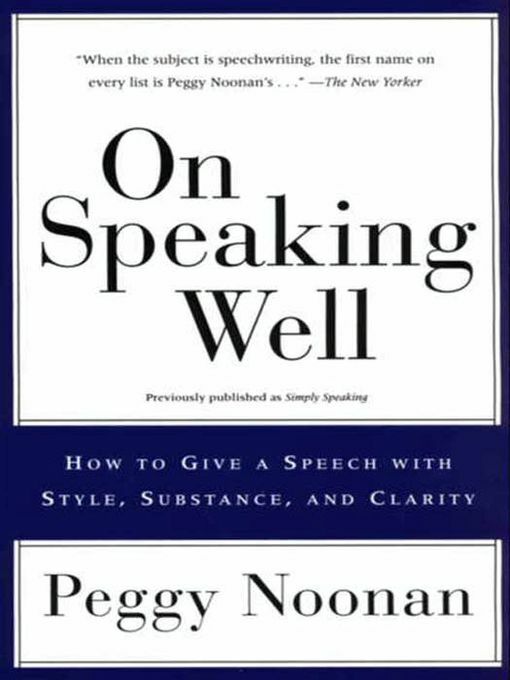 This week's MWM called for a book review, and I decided to read a book titled On Speaking Well, How to Give a Speech with Style, Substance and Clarity written by Peggy Noonan. Noonan is a woman I have highly regarded as one of the great speech writers since grade school. Click the link below to see my full review! MONROVIA, Ind. – September 18, 2013 – A list of first round of USDA Renewable Energy for America Program (REAP) award recipients have been named. The USDA REAP awards help small rural businesses and agriculture producers reduce energy usage and costs, use a variety of renewable energy technologies throughout their operations, and/or conduct feasibility studies for projects focusing on renewable energy. Grant funding has been made possible by the 2008 Farm Bill which allows the USDA to disperse funding to a variety of projects around the country. This is not necessarily an exhaustive list as Prosperity Consulting expects the USDA to announce additional REAP awardees throughout the fall. MONROVIA, Ind. – September 16, 2013 – Jen Hundley, previously of the Indiana Beef Council, joins Prosperity Consulting, LLC today as Project Manager. Hundley will assist Prosperity Consulting in applying and acquiring grant applications for agriculture and renewable energy projects as well as perform marketing endeavors for Prosperity Consulting. Hundley will act as the brand manager for Prosperity Consulting, leading the marketing and communication initiatives, including building Prosperity’s digital products presence and growing the grant training division for the company. She will also support the grant application process and aid in customer relationship development.